Nancy Miriam Hawley is CEO of Enlignment® Inc. She works in partnership with business owners, executives and management teams in a variety of organizations, educational institutions, and publicly and privately owned businesses. Miriam’s clients span the fields of law, medicine, biotech, engineering, development, financial services and the arts. Miriam has a passion for working with entrepreneurial individuals, copreneurial couples and families to develop and sustain thriving businesses. In partnership with her late husband, Jeffrey McIntyre, she co-authored a book entitled You and Your Partner, Inc.: Entrepreneurial Couples Succeeding in Business, Life and Love, published in 2012, reviewed in the Wall Street Journal, Forbes and Bloomberg Businessweek. Miriam and Jeffrey interviewed 50 business couples with a variety of experiences whose stories illustrate how they have faced and overcome obstacles to create, build and sustain both their businesses and their marriages. Miriam has a contagious and inspiring commitment to living life fully. A bold, direct and graceful communicator, she brings compassion, insight and clarity to her work. 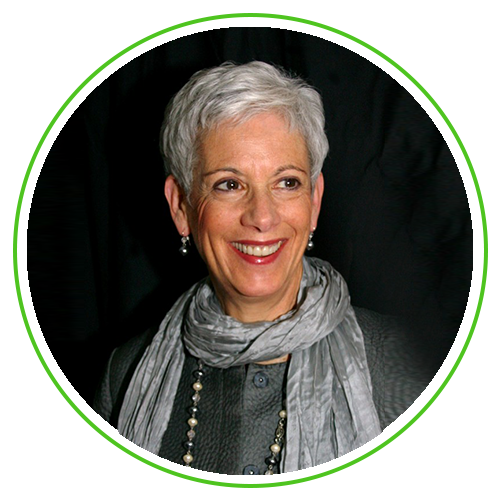 Prior to shifting her focus to leadership coaching and consulting, she conducted a private psychotherapy practice for over 30 years. Miriam is known to clients and colleagues as a rigorous listener for each person’s greatness, creativity and self-expression. She combines a vision of what is possible with confidence in every person’s potential for greater satisfaction and accomplishment. She challenges her clients to be focused and strategic in taking action with passion, purpose and integrity. Miriam is a founder of the Boston Women’s Health Book Collective, Inc., the organization responsible for writing the best seller Our Bodies, Ourselves, a book that shifted the national and international dialogue about women’s health, sexuality and power. She also co-authored Ourselves and Our Children, a book about families and parenting. The BWHBC continues to thrive globally as an educational and activist organization nearly fifty years after its inception. The OBOS Founders were honored for their work as educators and activists at the Elizabeth A. Sackler Center for Feminist Art YES! 10thAnniversary Gala and 2017 First Awards for “extraordinary women who are first in their field.” Miriam was acknowledged as one of the Makers in the 2013 PBS documentary film series Makers: Women Who Make America. As a catalyst for global transformation, she is a highly regarded keynote speaker and facilitator of conversations that inspire visionary leadership at work, at home, in the community and in the world. She has enjoyed the privilege of coaching global women leaders in the profit and social profit sectors. Well versed in the Sufficiency conversation generated from the work of Lynne Twist, author of The Soul of Money and co-founder of the Pachamama Alliance, Miriam is a seasoned facilitator of the Awakening the Dreamer Symposium, an international effort dedicated to creating an environmentally sustainable, socially just and spiritually fulfilling human presence on the planet. Committed to expanding the sufficiency dialogue, she co-produced the first Global Sufficiency Summit in 2007, organized and co-hosted the second in 2008, and was on the Executive Team for the third in 2010. Miriam interfaced with the work of Peter Senge, author of The Fifth Discipline: The Art and Practice of the Learning Organization, as a consultant member of the Society for Organizational Learning. As an active member of the SoL Coaches Community of Practice, Miriam participated in an initiative to create a SoL coaches certification course for systems thinking in action. The pilot program was launched in 2010 and has been delivered in: Boston; Seattle at Microsoft; Budapest, Hungary; London, England; Tokyo, Japan; and Bangalore, India. As a founding partner of Systems Perspectives LLC, Miriam coaches and consults with leaders in higher education and international business. She also coaches global leaders in several Harvard Business School Executive Education Programs. Miriam earned her undergraduate and graduate degrees from the University of Michigan at Ann Arbor. She holds a Bachelor’s degree in History and Psychology and a Master’s degree in Social Work, with a specialty in groups and organizations. Family was the foundation of Miriam and Jeffrey’s life together, and continues to be at the center of her life and the inspiration for her work. She is the mother of three children, and the grandmother of four.